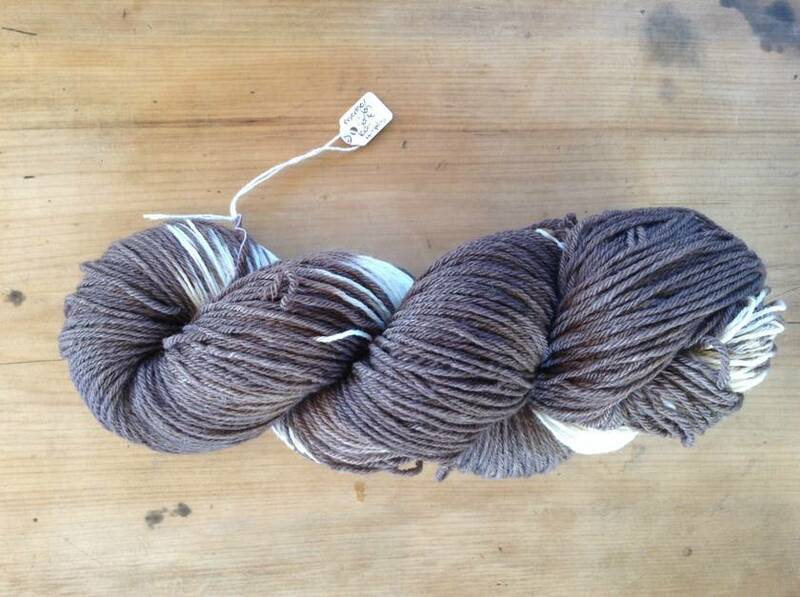 Hand dyed using only acorns with a splash of "rusty nail" modifier to give a lovely chocolatey grey colour with a smattering of natural white for interest. No toxic dye products here! All completely simple and natural.